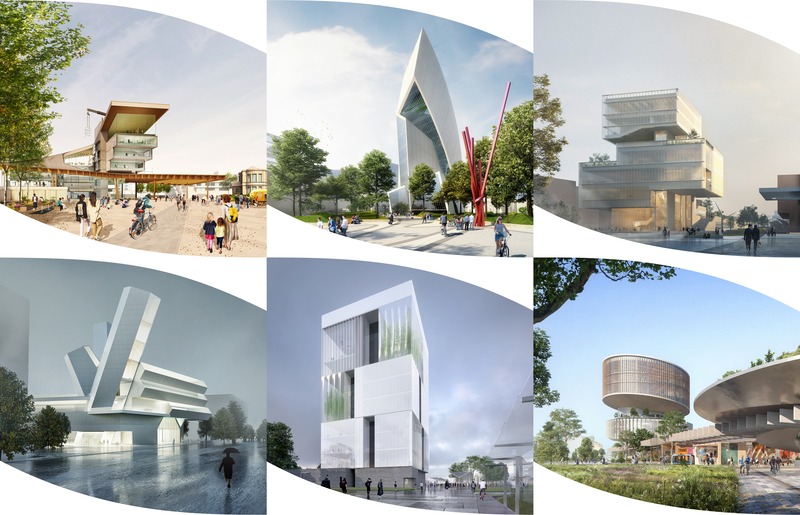 University College Dublin (UCD) revealed the latest design proposals from the six shortlisted teams for Future Campus—University College Dublin International Design Competition. Six teams were chosen from the 98 firms that submitted proposals earlier this year, and the latest renderings reveal competing visions for the university's future. Diller Scofidio + Renfro (New York) John Ronan Architects (Chicago) O’Donnell + Tuomey (Dublin) Steven Holl Architects (New York) Studio Libeskind (New York) UNStudio (Amsterdam) The design competition consists of two design initiatives—one is a sixty-acre Entrance Precinct master plan and another is the Centre for Creative Design, a new building to house a maker space and a “living learning lab.” UCD, Ireland’s "Global University", is one of Ireland’s largest universities with more than 30,000 students. The university moved to its current 330-acre Belfield campus in 1963, which was masterplanned by Polish architect Andrzej Wejchert through another competition. The current campus consists of a collection of estates, including period houses and four- to five-story Brutalist structures within a landscaped setting. The master plan is envisioned to be “a highly-visible and welcoming entrance precinct” to introduce placemaking and establish an identity for the university. The new masterplan will house the 90,000 square foot Centre for Creative Design, which is meant to be an emblem of UCD’s creative identity. Another aspect of the masterplan is to increase the permeability of the campus boundary, potentially by introducing a new vehicular entrance and working with planned public transportation connections and other transport modes. “We are seeking an integrated design proposal that improves the experience of our campus for its users and that better connects us to our surroundings, orientating us outwards to the world and inviting our communities to engage with us,” said Professor Hugh Campell, professor of architecture at UCD and member of the competition jury. The university is now seeking comments on the design proposals from the UCD community, whose feedback will be fed to the jury. The winner will be announced in August 2018. One thousand opera singers will grace Manhattan's High Line from October 3 through 7, staging a massive public performance for five consecutive nights. The Mile-Long Opera: a biography of 7 o’clock, produced by Diller Scofidio + Renfro (DS+R), the High Line, and production company The OFFICE performing arts + film, will present a thousand sung stories about what 7:00 PM means to New York residents. The Mile-Long Opera has a star-studded production team: The show is a joint venture between DS+R and Pulitzer Prize-winning composer David Lang, who will be setting the stories to music. Poets Anne Carson and Claudia Rankine will be writing the stories, based on interviews, about the liminal period between day and night. 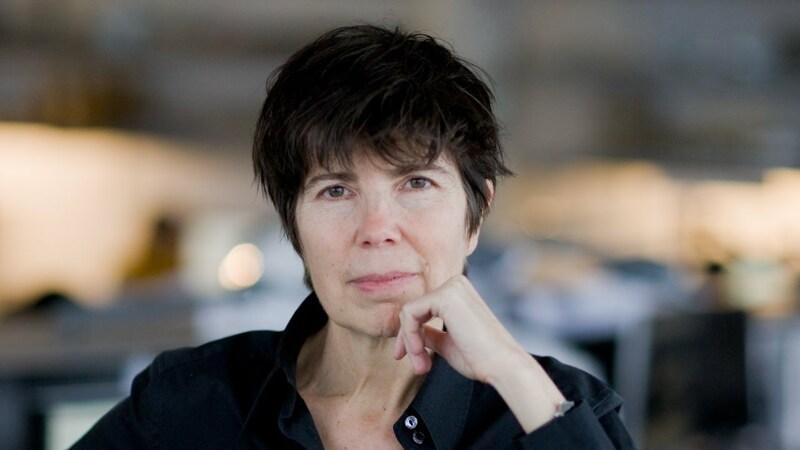 DS+R partner Elizabeth Diller will be staging the show, with the help of co-director Lynsey Peisinger, along the entire length of the High Line. Nonprofit cultural partners from each borough will be supplying the show’s singers, who will be directed by Donald Nally, and each partner will recruit volunteers, hold workshops, and throw cultural events in the lead-up to the October performance. Diller’s involvement has been known for some time now, and the idea supposedly took inspiration from the intersection and confrontation between public space and performance art. “After working on the design of the High Line for over a decade and witnessing the rapid transformation of the surrounding area, I thought a lot about the life cycle of the city—its decay and rebirth—full of opportunities and contradictions,” said Diller in a statement. “This vantage presented an opportunity for creative reflection about the speed of change of the contemporary city and the stories of its inhabitants. “The park will be a 30-block-long urban stage for an immersive performance in which the audience will be mobile, the performers will be distributed, and the city will be both protagonist and backdrop for a collective experience celebrating our diversity.” The Mile-Long Opera will be free, in keeping with the mission to open up opera to the public. Visitors can freely wander the length of the High Line while intermingling between the groups of singers, and each artist will belt out their own solo story. Guests can choose to linger and listen through to individual stories or explore as many experiences as they want. The High Line will close early to the general public on the nights of the show, and only those who have booked an advance reservation online (here) will be able to attend. With anticipation building for the 2019 opening of The Shed on the park’s northern end, it looks like DS+R will keep the cultural momentum going through the fall. In the run-up to the opening of The Shed, Diller Scofidio + Renfro and the Rockwell Group’s new arts center in the Hudson Yards development, a 2-week program called A Prelude to The Shed, featuring free performances, talks and events, took place in a temporary structure designed by Kunlé Adeyemi of NLÉ Works. A Stroll Through the Fun Palace, British architect Cedric Price’s 1961 project, developed with theater director Joan Littlewood, was presented in dynamic form by architects wheeling models and items from the project archives at the Canadian Centre for Architecture on carts throughout the site, and interacting with curious visitors. A Stroll was originally presented at the 2014 Venice Architecture Biennale at the Swiss Pavilion, where it was curated by Hans Ulrich Obrist, who is also Senior Program Advisor at The Shed. On May 1, the evening panel discussion centered on Price’s Fun Palace and its impact on The Shed. Obrist and Prelude co-programmer Dorothea von Hantelmann set the stage by explaining why they included this work in the roster, and how its presentation explores the exhibition form itself. 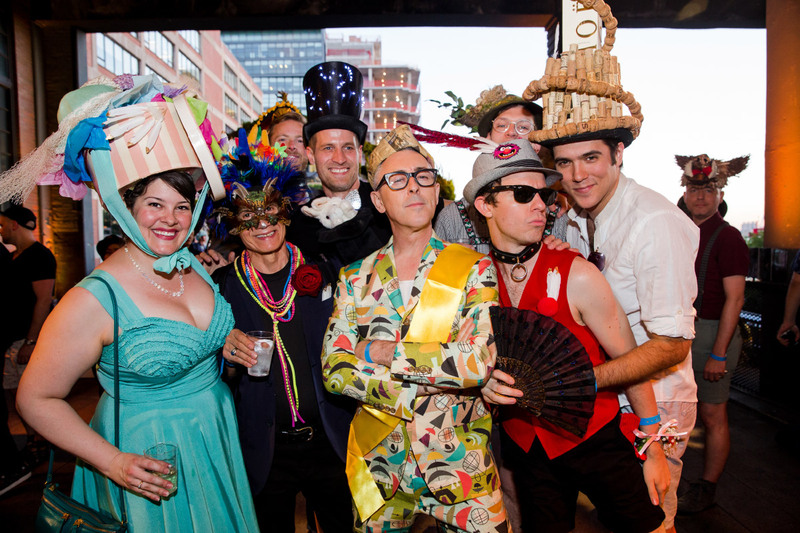 They correlated the Fun Palace’s interdisciplinary nature—opera, visual art, theater, dance—with Artistic Director Alex Poots’s background at the Manchester International Festival, the Park Avenue Armory and now The Shed. They were followed by Eleanor Bron, Cedric Price’s concubine (her preferred term for life partner), an actor best known for film roles in Help!, Alfie, Two for the Road, Bedazzled, and Women in Love, and Samantha Hardingham, interim director of the AA and author of Cedric Price Works, 1952–2003: A Forward-Minded Retrospective. They described the challenge for the self-described “anti-architect" to create a home for as many forms of fun in one spot as possible, and to open up science and culture to all. 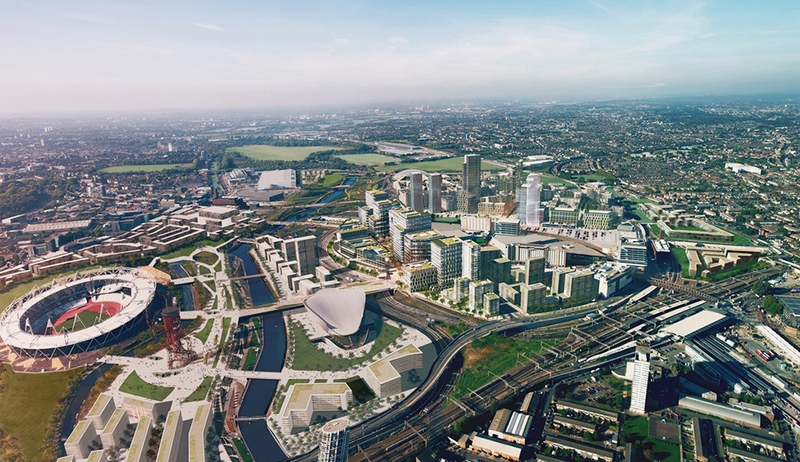 The Fun Palace, intended for the Olympics site in East London, was conceived as a permeable, moveable, gravity-defying open space without beginning or end, in contrast to the prevalent earthbound style of the times in Britain, Brutalism. It counted among is trustees Buckminster Fuller and violinist Yehudi Menuhin, and it nearly happened except for a drainage problem on the site. In another connection to The Shed, in 1999, Price submitted a proposal for Phyllis Lambert’s Hudson Yards competition, the current site of The Shed. Titled A Lung for Midtown Manhattan, Price was one of five finalists, who also included Ben van Berkel and Caroline Bos, Morphosis, Reiser + Umemoto, and winner Peter Eisenman. The jury consisted of Frank Gehry, Arata Isozaki, Philip Johnson, Rafael Moneo, Joseph Rose (City Planning Commissioner), and Elizabeth Diller. Notably, Diller voted for Price’s entry, which proposed leaving the space open with “wind-blinkers” to encourage breezes from the river to waft over Manhattan. Diller recounted the competition in the next panel, which also included David Rockwell and Kunlé Adeyemi. 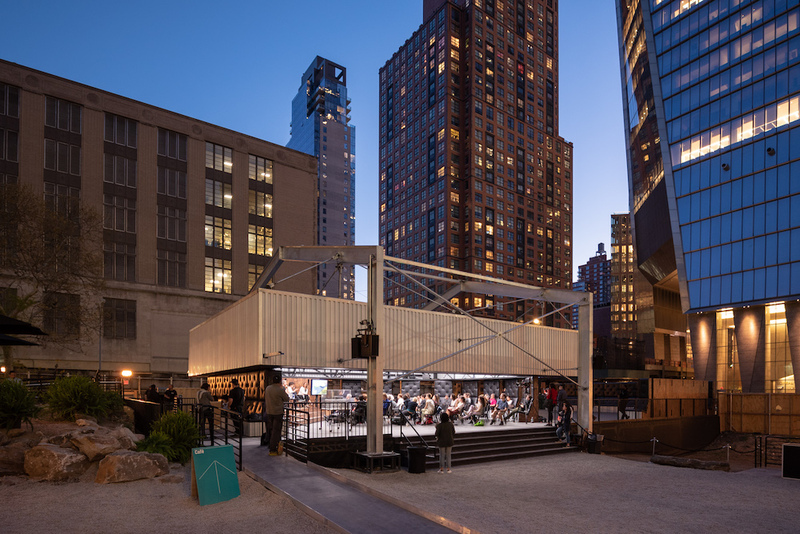 Diller and Rockwell discussed their approach to the design of The Shed: to be forever contemporary, flexible but not generic, scalable, indoor and outdoor, unbranded and entrepreneurial. They said their key architecture reference was the Fun Palace, which was an architecture of infrastructure. They also questioned why we need one more cultural institution, since New York City already boasts 12,000. Referring to the moveable portion of The Shed, Rockwell pointed out that many theaters are meant to be flexible (think Zankel Hall at Carnegie Hall), which are rarely utilized because it’s too difficult or expensive. For him, another lesson was from his TED Theater in Vancouver, an annual pop-up meant to be “live.” Here, the architecture does not dictate what happens inside. The evening was rounded out with Keller Easterling, an architect and Yale professor, who spoke on notions of theater in architectural spaces (in addition to being an architect, she has a background as a performance artist) and Caroline A. Jones, a professor at MIT Architecture, who found parallels in electronic technological modes of production in the art world. 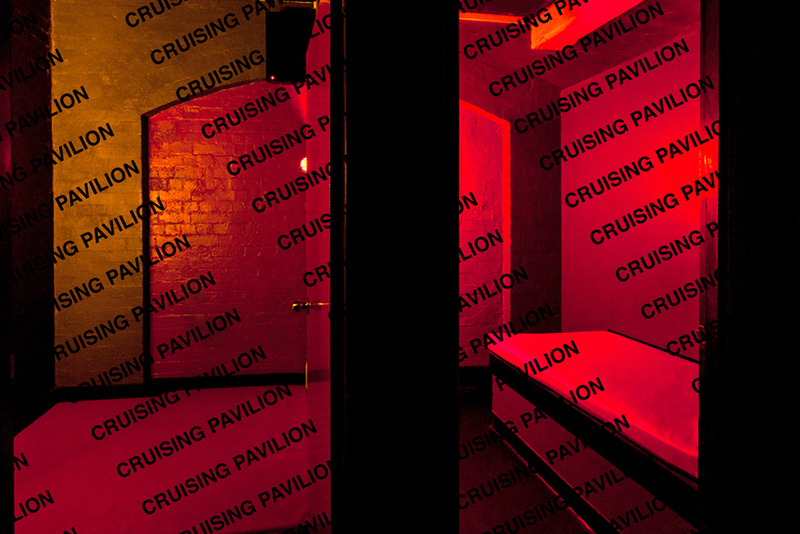 They commented that presenters on stage facing the audience was the antithesis of the future Shed. 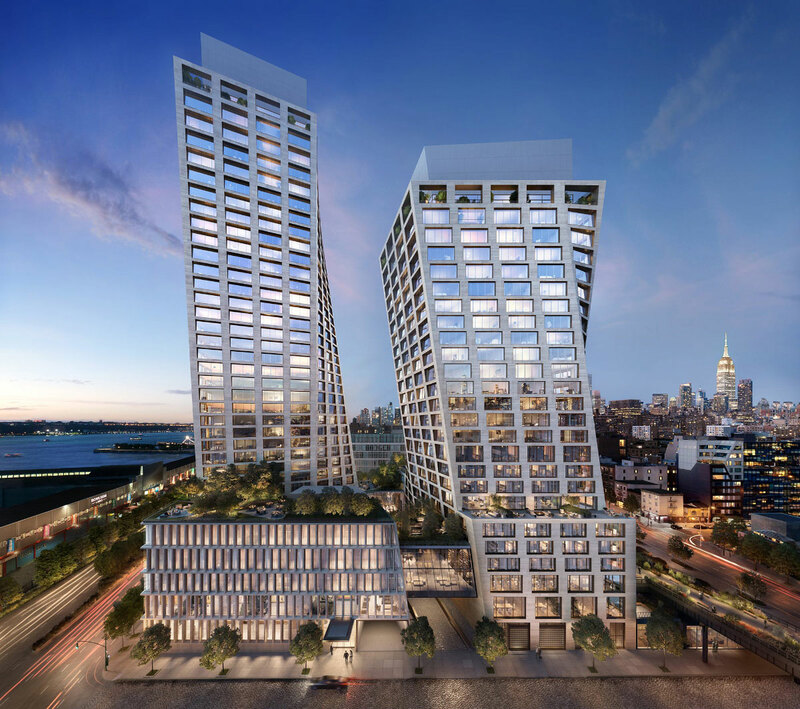 The twisting, torquing towers of the Bjarke Ingels Group (BIG)-designed The Eleventh (The XI) have begun sprouting along the High Line, and developer HFZ Capital has released a new batch of renderings. Located between 10th and 11th Avenue and bounded by 17th and 18th Streets in Manhattan, The Eleventh takes up a full block directly south of the Frank Gehry-designed IAC building. As HFZ told the New York Times, the mixed-use project was designed less as a standalone complex and more as a “micro-neighborhood.” The sprawling development stretches underneath the High Line to the east, where James Corner Field Operations and Diller Scofidio + Renfro are designing a street-level extension of the park above. Moving west from the new park, the BIG-designed pavilions will rise under the High Line. The two travertine-clad towers will rise on the western half of the development next to the Hudson River. At the westernmost edge of the site will be the taller of the two towers, at 400 feet tall and 36 floors, with 149 condos units designed by New York’s Gabellini Sheppard. For the interiors, the team has chosen a lighter material palette that emphasizes natural materials, such as oak flooring and white quartzite countertops. The smaller tower to the east, connected at its base with its neighbor via a glass skybridge, will only be about 300 feet tall and 26 stories. Everything after floor 11 is slated for condos, while the lower floors will hold a Six Senses hotel; the Paris-based interiors firm Gilles & Boissier are designing the interiors for both the residential and hotel sections, and will reportedly use a similar palette and style for both. Both towers noticeably twist in opposite directions as they rise, and the turns are intended to preserve views for occupants inside both buildings. To further improve the views, the western tower will expand as it rises and the eastern tower will taper as it nears the top. To cap it off, both of the condo buildings share matching glass crowns. A shorter building is also planned for the site’s southwestern corner, with plans to turn it into an art space and Six Senses spa and club. Swiss landscape architect Enzo Enea will be designing a covered through-way for vehicles and a courtyard at the center between the two tower’s hemispheres. The amenities are consistent with the other luxury residential buildings going up along the High Line; future homeowners can expect access to a 75-foot-long pool, 4,000-square-foot fitness center, access to Six Senses, and a lounge and game room in the skybridge. Once completed at the end of 2019, the complex will be among the tallest in West Chelsea. 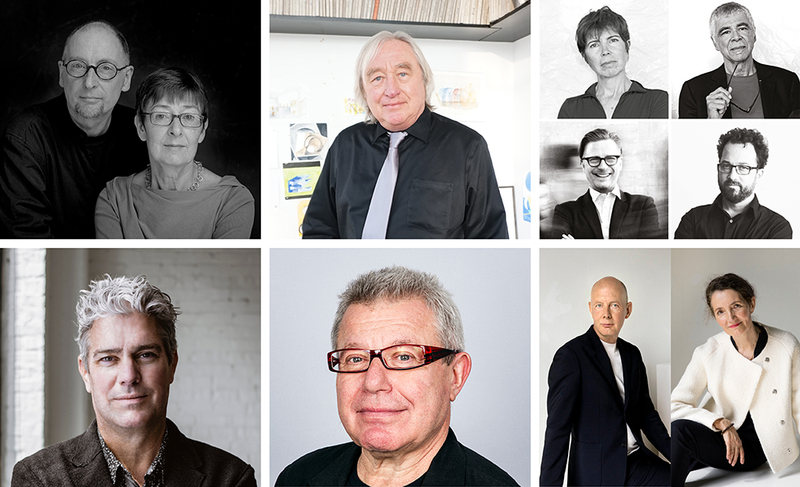 Time magazine has once again released its list of the 100 most influential people, and Elizabeth Diller, a founding partner at Diller Scofidio + Renfro (DSR), was the only architect who made the cut. This the second time Diller has been included, and originally made the list jointly in 2009 with her partner-slash-husband Ricardo Scofidio after the first phase of the High Line was completed. “Elizabeth Diller is a visionary,” wrote Eli Broad, an American entrepreneur and philanthropist. Broad had originally commissioned DSR to handle the Broad Museum in downtown Los Angeles, across from Frank Gehry’s iconic Walt Disney Concert Hall, after the studio won an invitation-only design completion. The resultant museum, upturned at the corners and draped with a dramatically perforated facade, houses Broad’s extensive personal collection of contemporary art and has won numerous awards. “She imagines things the rest of us have to see to believe. She can turn a metaphor into brick and mortar,” Broad continued. “For the Broad, Liz and the Diller Scofidio + Renfro team had a tricky assignment: build a museum that is iconic, but that doesn’t clash with Disney Hall across the street. 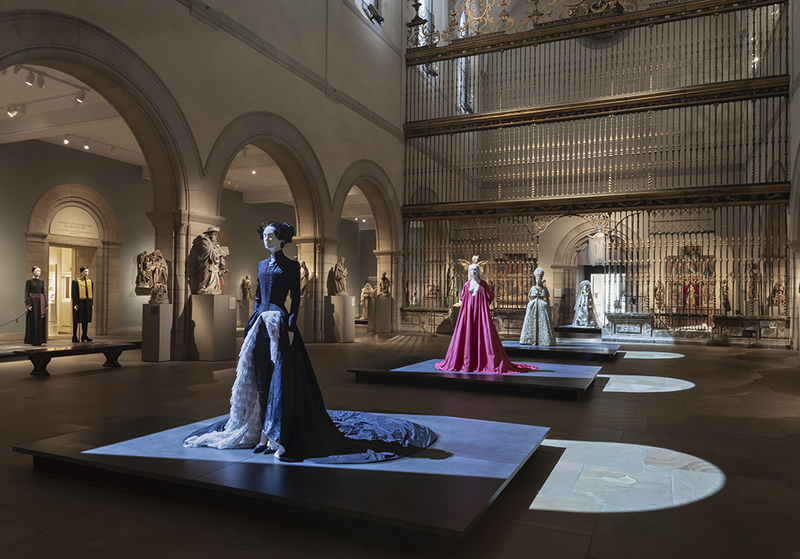 They called their design “the veil and the vault.” The veil—a white, porous overlay—brings diffused light in to meet the art. And the vault, hovering within the building, its contents visible through plate-glass windows, shows visitors the great potential of our collection to keep offering more art and ideas. We thought this was a brilliant concept.” Maybe it’s because she’s a woman in a male-dominated field, or because she was originally a conceptual artist—along with her partner in art, architecture and life, Ric Scofidio—but whatever the reason, Liz sees opportunities where others see challenges. She can do the impossible.” Diller’s inclusion in this year’s list under the "titans" section puts her in the same club as Jeff Bezos, Oprah and Elon Musk. 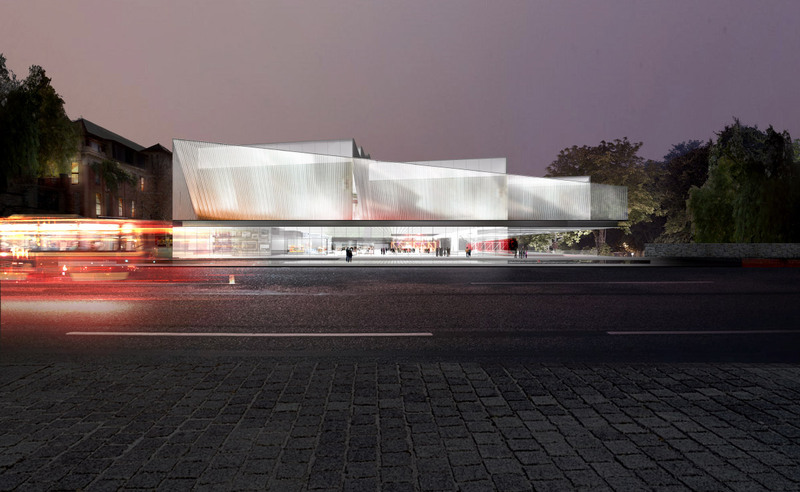 It elevates her to a select club of architects recognized by Time; Sir David Adjaye was the sole architect chosen last year, while Bjarke Ingels stood alone in 2016. Besides being honored for her work in architecture, Diller has been prolific throughout the entertainment world as well, producing an opera to debut on the High Line in 2019, and collaborating with director Spike Jonze on the 2014 film Her. 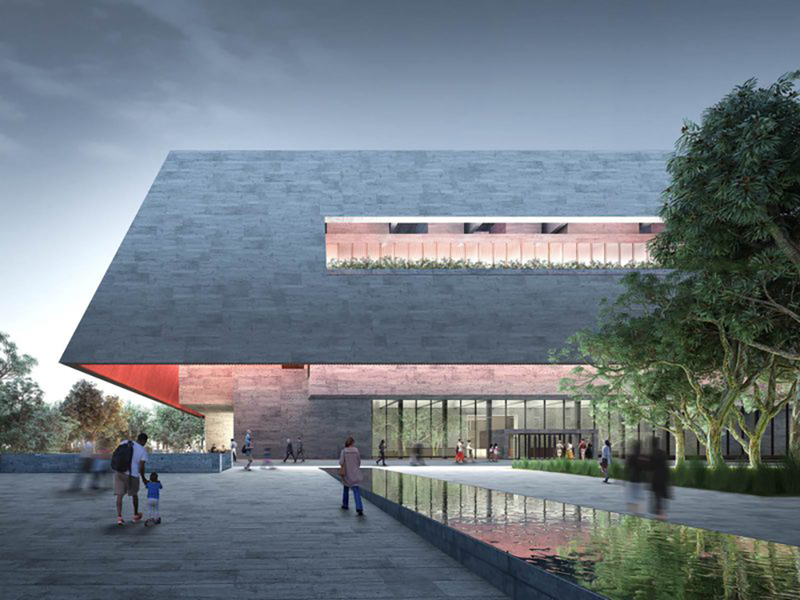 University College of Dublin (UCD) has just announced the finalists of its Future Campus – University College Dublin International Design Competition. Of the ninety-eight firms that submitted proposals, six have been chosen for the project’s shortlist: Diller Scofidio + Renfro (New York), John Ronan Architects (Chicago), O’Donnell + Toumey (Dublin), Steven Holl Architects (New York), Studio Libeskind (New York), and UN Studio (Amsterdam). The Future Campus Competition is for two connected projects on the university’s campus, a sixty-acre master plan and a new academic building. With over 30,000 students, University College of Dublin is Ireland’s largest university. Founded in 1854, the university migrated to its current 330-acre Belfield campus in 1963, which was designed by Polish architect Andrej Wejchert. Wejchert’s design is primarily composed of four- to five-story Brutalist structures within a landscaped setting. The campus is located on the edge of Dublin, just over two miles from the city center. UCD views the future master plan as a “highly-visible and welcoming entrance” establishing an “urban design vision that values high-quality placemaking, architecture, and public realm.” Within the master plan area, UCD envisions an approximately 90,000-square-foot academic lab dubbed The Centre for Creative Design. The estimated budget for the project is just under $60 million. Professor Andrew J. Deeks, President of University College Dublin, describes the competition process as a rare moment to build “a design that will become an icon for the University – representing our vision to create something extraordinary and brilliant.” All six firms will conduct a site visit at the campus by the end of the month, with a winner announced in August 2018.